.. long time resident Betty Taylor Budny views cemetery condition. .. there were likely at least four interments in this family cemetery, based on the evidence of footstones. In February, only two were visible. In April 2008, a third was discovered but requires excavation to read. 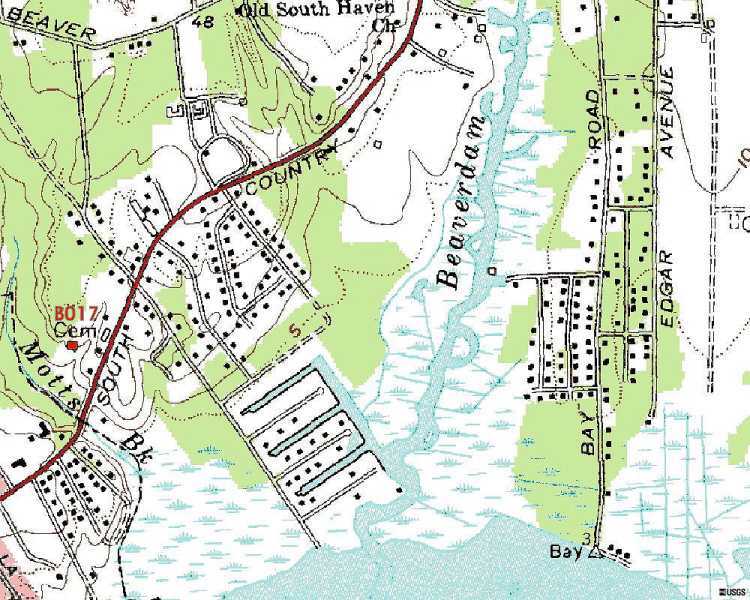 The Woodruff private graveyard is north of the South Country Road and a little distance north and back of the barn on the former Hoyt estate, just outside and east of the Bellport Village line. It appears that this small family cemetery is not being maintained by the Town of Brookhaven as required by NY State Law. This cemetery is in poor condition and threatened, and not likely to survive another generation. This cemetery has Historic Sites Ref. ID Br15.1-S and is #17 on the Town of Brookhaven Historian's Cemetery List.